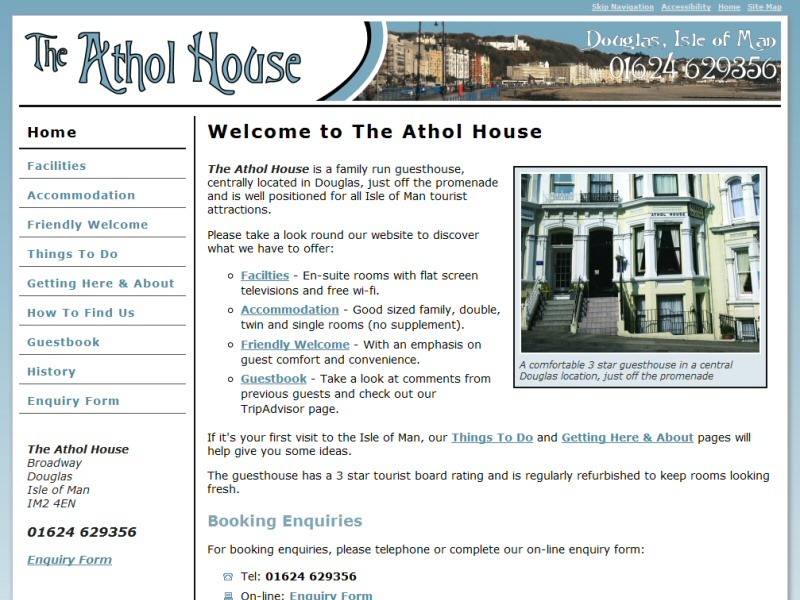 Website design for a family run guest house in Douglas on the Isle of ManLooking for a replacement website for your hotel, guesthouse or bed and breakfast? If your existing supplier has lost interest and won't answer the phone (whilst still taking money off you every year), why not give EasierThan Website Design a try? We offer an honest and flexible approach to website design and we always answer emails and return your calls, even when we're busy! We know the hotel market is tough, particularly on the Fylde Coast and can provide the necessary Search Engine Optimisation services, including Blog Authoring and Social Media Management for the likes of Facebook and Twitter. Our focus is on end results and we will work with you to maximise any potential selling points for your business. These may include, but are not limited to, disabled facilities / access, pet friendly rooms, off street parking, convenient locations, smoking rooms / shelters, catering (OR NOT) for stag and hen dos, long term business stays, conference facilties, wedding and other event catering, single rooms, family entertainment and swimming, leisure or gym facilities. Although it is unlikely you'll be able to wholly bypass the need for other on-line hotel directories, you'll hopefully be able to restrict your subscription to just a few of the main players. And with our content rich approach to websites, we'd expect more of the traffic from them to convert to actual enquiries. Why not Contact Us to discuss replacing your website?